Box office Nollywood continues to double down on the comedies and the romances. Seven and a Half Dates is only the latest in a long line. 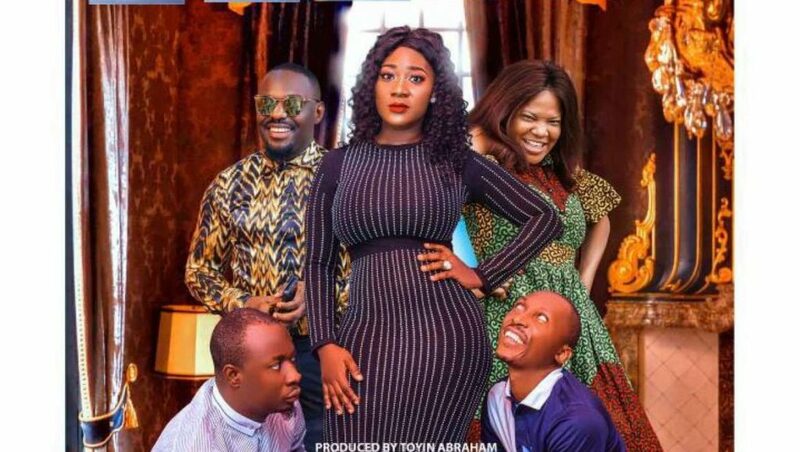 Produced by Toyin Abraham d Samuel Olatunji, from a screenplay written by Joy Isi Bewaji, this attempt at a surefire cash grab is quite the letdown. Anyone collecting pennies for how many times Nollywood has rehashed the single unmarried woman experience and played it for laughs should be expecting millions in terms of dividends by now. Think of Seven and a Half Dates as a poor fellow’s Isoken, without the style or the smarts or the class. Instead of a resurgent Dakore Akande, Seven and a Half Dates parades the leading lady charms of Mercy Johnson-Okojie, who isn’t quite the force she used to be. Johnson-Okojie is Bisola, a woman about to put her family through the indignity of giving away her younger sister’s hand in marriage first. Seven and a Half Dates makes a lot of noise about Bisola constantly choosing work over men but the film fails to show exactly how. Bisola runs a shop obviously, but nothing interesting ever happens at work that details this workaholic nature of hers beyond putting up with her socially awkward assistant played by Toyin Abraham. Bisola’s work life appears as dull as her personal life and this tilted work life balance is merely a concept existing in the mind of the writer that does not translate in any shape or form on screen. Who can blame Bisola’s father, a lovable chess aficionado, for taking matters into his hand and setting Bisola up on a stretch of dates with ten young men, all sons of his old boys association members? The idea being that a girl must kiss plenty of frogs on her way to meeting prince charming. Seven and a Half Dates is of course, all very predictable. A history of familiarity with romantic comedies isn’t even necessary to expect that Bisola has set herself up for a series of frustrating encounters. The writer does not even bother with any complexities, the story is laid out too thin. From the rabid internet troll to the unapologetic misogynist, Bisola powers through a line list of insufferables. The eventual Mr Right- conveniently lurking somewhere in the form of Jim Iyke as a romance writer seeking out material for his next column- has no significant challenge, nothing interesting to do except spew some cheesy lines and make goo-goo eyes. The odds were always in his favour. For in what world is Mercy Johnson-Okojie going to pick the guy who plays Frank Donga over Jim Iyke? The central romance like every other thing about Seven and a Half Dates isn’t quite believable even when carried by two of Nollywood’s biggest stars. There is an interesting side hustle relating to domestic violence but it is handled rather clumsily. Production design plus styling by Tiannah’s Empire sits within gaudy territory and gives the film a kind of low budget B-movie aesthetic feel. There is some attempt to work in some old-fashioned ode to the days when magazines were popular and columnists were influential. None of it works out well. Not the layout of the magazine, the unconvincing manner in which the sub plot is presented nor the actors’ ability to believe in the material that is handed to them. Lots of big names are assembled here- Abraham, Sola Shobowale, Ali Nuhu- but Biodun Stephen’s film fails at the end of the day to summon up plenty of excitement, giving them little or nothing to do. The end product is uncharacteristically tame considering the talents involved. Terribly unglamorous and thoroughly unoriginal.